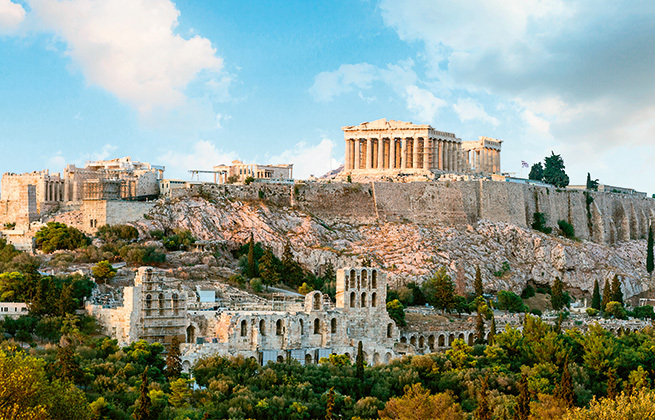 Tickets to City Sightseeing Tour "Hop On Hop Off"
Indulge yourself at Pallas Athena and explore the most important museums in Attica. Book our Cultural package and benefit from free tickets & several exclusive services. Rates are quoted per room per night based on double occupancy, unless otherwise specified. All offers are subject to availability at the time of reservation. Minimum night stays may be required. Offers are not valid in conjunction with any other offer or contract. Please contact the hotel for group prices (over 10 rooms). Rates are per room, per night, vary by arrival date and/or length of stay. Early departure fees may apply. Rates are subject to change. The hotel reserves the right to stop this offer at any time.